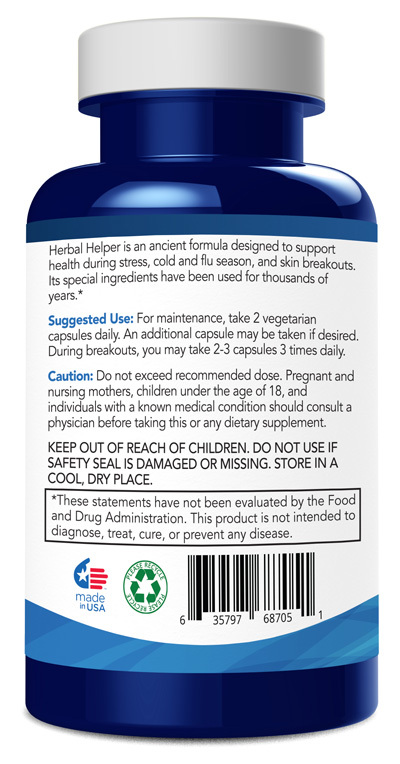 HERBAL HELPER is an Ayurvedic formula designed to FIGHT breakouts and inflammation when you have them and help restore immune balance so you never get them again! 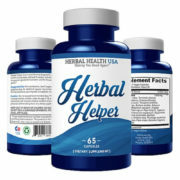 Breakouts, inflammation, herpes, shingles and acne strike when you are most vulnerable- during physical or emotional stress, anxiety, and poor dietary choices- THIS IS THE WORST TIME FOR AN OUTBREAK! 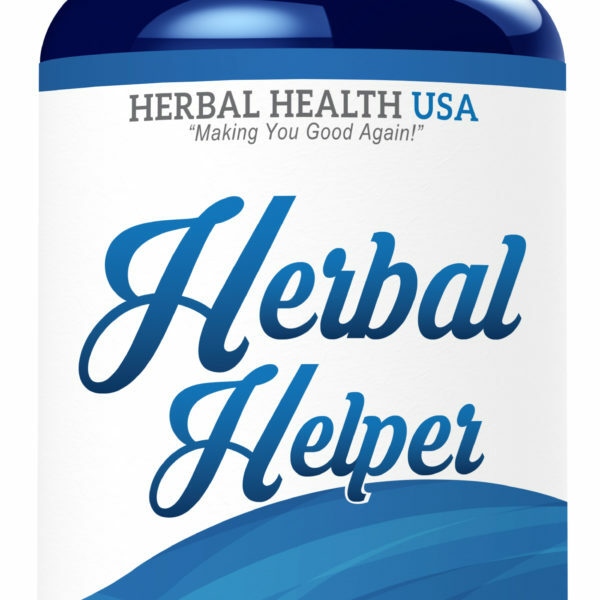 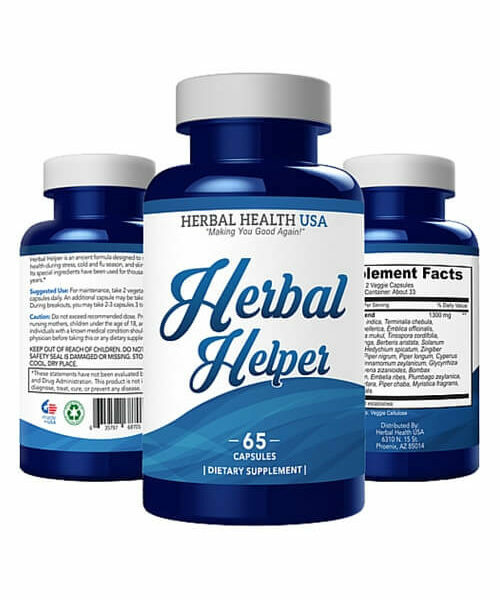 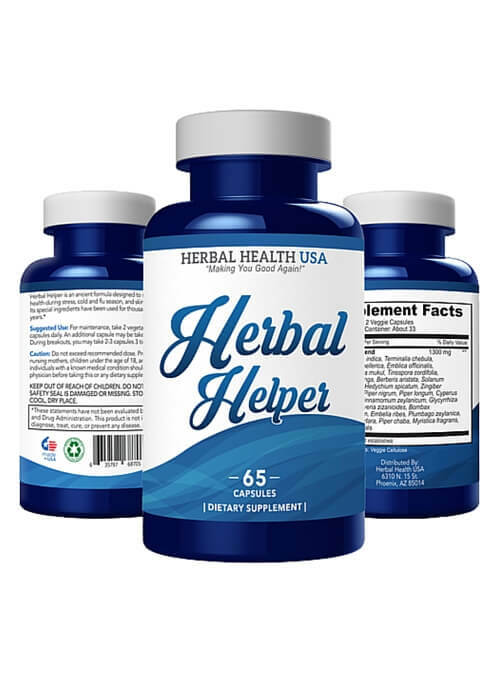 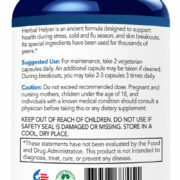 Herbal Helper helps detox your system while building optimal immunity so you can stay in balance. 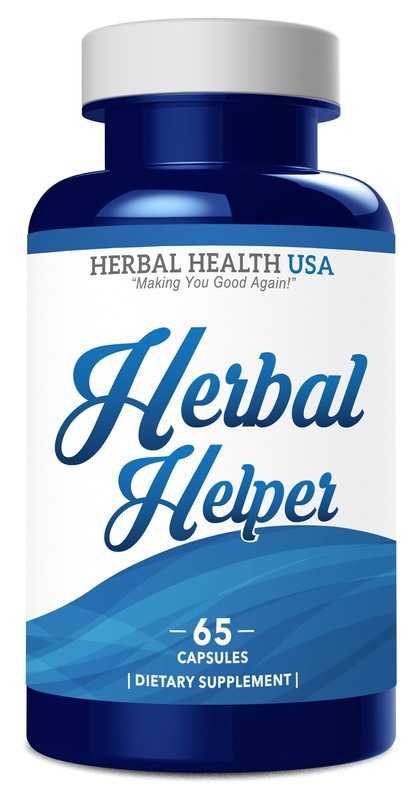 It works in the summer to cool and detoxify your blood, liver, and skin, and in the winter to keep you from succumbing to cold and flu. 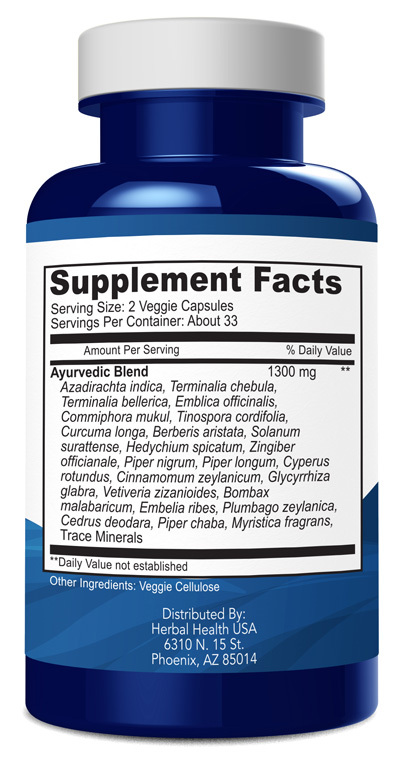 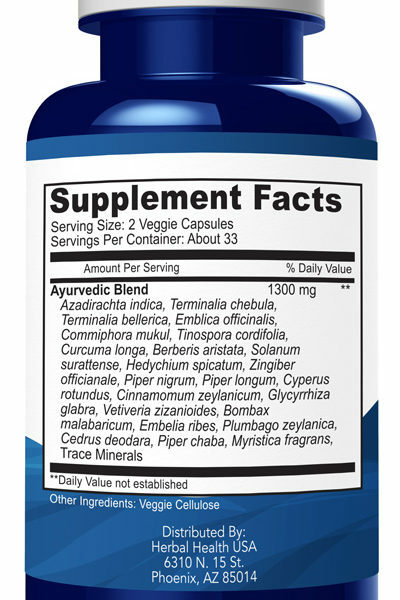 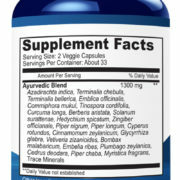 Your year-long friend- Herbal Helper-put it in your medicine cabinet today! 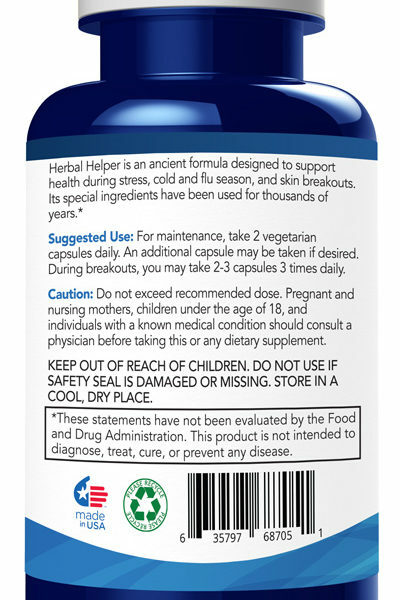 Proven to work, thousands-year-old formula.